Marseille will attempt to win their first major European trophy in 25 years on Wednesday, a success they hope will help wipe clean the stain of their contentious 1993 triumph that has haunted them ever since. The Ligue 1 side face Atletico Madrid in Lyon in the Europa League final, with a place in the Champions League, the competition that brought both their greatest and darkest hour, up for grabs. A quarter of a century ago Marseille were one of the best sides in continental football and, having lost the European Cup final on penalties to Red Star Belgrade in 1991, they won the re-branded Champions League as Basile Boli's goal earned a 1-0 win over AC Milan. However, the club's biggest moment was tainted, after it was alleged players from struggling Valenciennes - who played Marseille the week before the Milan clash - had been asked by then-OM president Bernard Tapie to 'go easy' in order to reduce the risk of his players picking up an injury. 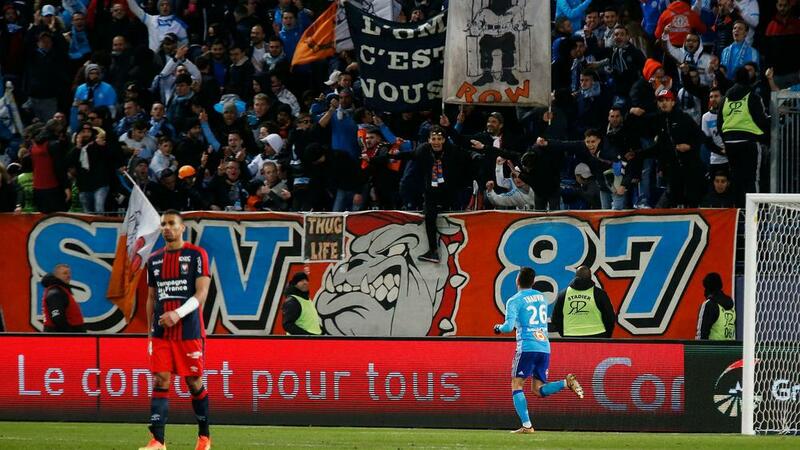 That sparked an investigation into Marseille's wider dealings and brought about the jailing of Tapie in 1995. General manager Jean-Pierre Bernes and midfielder Jean-Jacques Eydelie were also given prison sentences, though the latter's was suspended. Marseille were stripped of the French top-flight title they won in 1993, with runners-up Paris Saint-Germain declining an offer to assume the position of champions, and were prohibited from defending their Champions League title or competing in the 1993 European Super Cup and Intercontinental Cup. A year later, after finishing second behind PSG and qualifying for the UEFA Cup, Marseille were relegated because of their financial irregularities and the scandal involving Tapie and, while they won Ligue 2 in the subsequent season, they were forced to spend a second year in the division after filing for bankruptcy. Only once since returning to the top flight have Marseille lifted the Ligue 1 trophy - a dominant Lyon team and the financial powerhouse that is PSG sweeping up most of the French titles in the modern era - and a Didier Drogba-inspired run to the 2004 UEFA Cup final has represented their best showing in Europe. Yet they have the chance to change the course of their future at the Groupama Stadium. With the backing of American owner Frank McCourt, Marseille have flourished under former Lille and Roma coach Rudi Garcia, with an exciting side playing aesthetically pleasing football and challenging for Champions League qualification in a redeveloped and regularly raucous Stade Velodrome. Despite a hugely impressive season from Florian Thauvin, who has been reborn under Garcia and scored 22 league goals with 11 assists, and France star Dimitri Payet, Marseille would still need to overhaul Lyon on the final day of Ligue 1 to reach the Champions League via the domestic route. They can avoid that tense scenario by finding a way through a formidable Atletico defence and clinching not just a shock triumph and a European trophy, but also an immediate place in next season's Champions League group stage. The aftermath of the scandal surrounding it has meant Marseille have never been able to bask in their greatest ever triumph, and the subsequent rise of their domestic and, in PSG's case, most hated rivals has led to Marseille fading into relative obscurity. However, should they prevail over Atletico, Marseille can go into next season boasting an astute coach getting the most out of a talented squad, financial backing, and a spot in Europe's most prestigious competition. The importance of the Europa League is something that has come under continued scrutiny in recent times but, for Marseille, it can provide a route back to relevance and perhaps a foundation to become a force both domestically and in Europe once again.